With the ability to print up to 68 standard labels per minute at 300 x 300 dpi (text only), the QL-570 Professional Label Printer wastes no time in handling even the biggest print jobs. And it's not only fast, but it also produces sharp, accurate text and imagery at up to 300 x 600 dpi resolution in superfine mode. 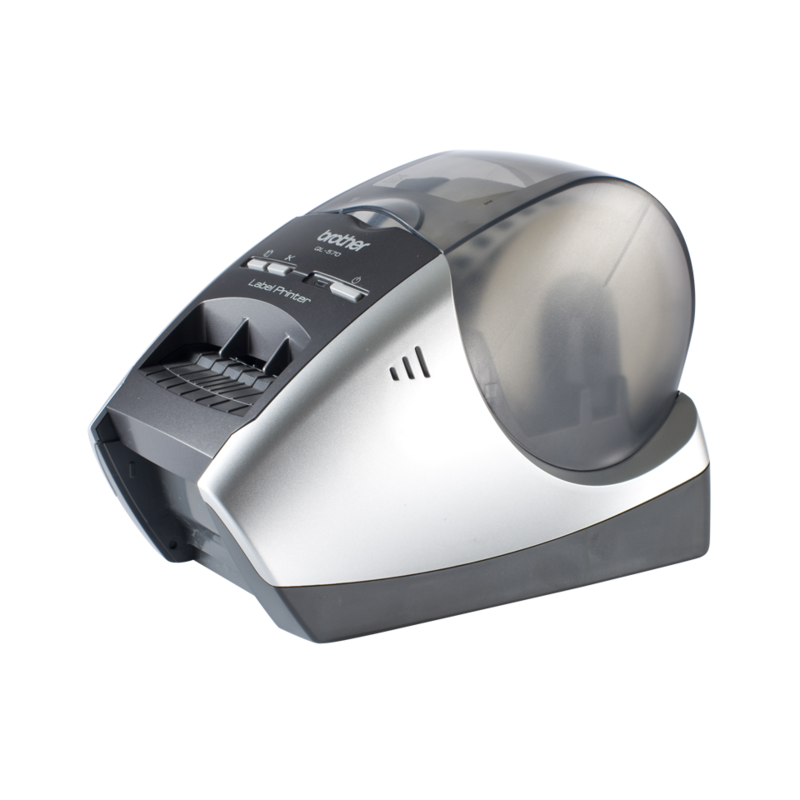 The QL-570 features an easy-access control panel and uses drop-in label rolls for quick changes. 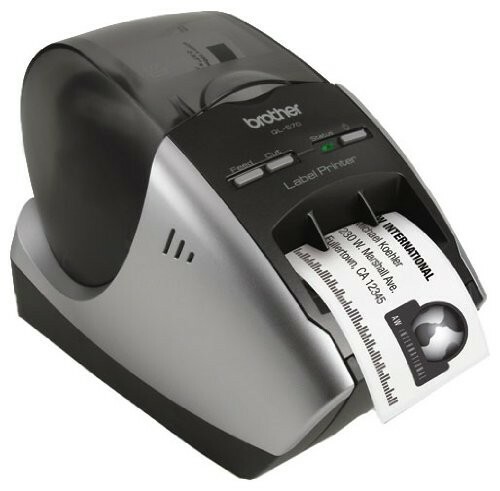 It accepts labels up to 2.4 inches wide, and it's even versatile enough to print on 1/2-inch diameter round labels. The QL-570 comes with P-touch Label Creation software, which allows you to create customized label designs and integrate seamlessly with Microsoft® applications such as Excel®, Word®, and Outlook®. This software creates labels within seconds using information stored on your computer, potentially saving you hours of hassle. This software is extremely user-friendly and features three input modes for people of all experience levels, from beginner to advanced. Pairing the QL-570 Label Printer to a PC or Mac is as easy as connecting the included USB cable to the computer and following the on-screen instructions. Once connected, installing the P-touch Label Creation software will only take a matter of minutes. No more cutting labels by hand: the QL-570 features a heavy-duty cutter that automatically cuts each and every label with precision and accuracy. For large print jobs, this feature will prove to be a huge time saver. 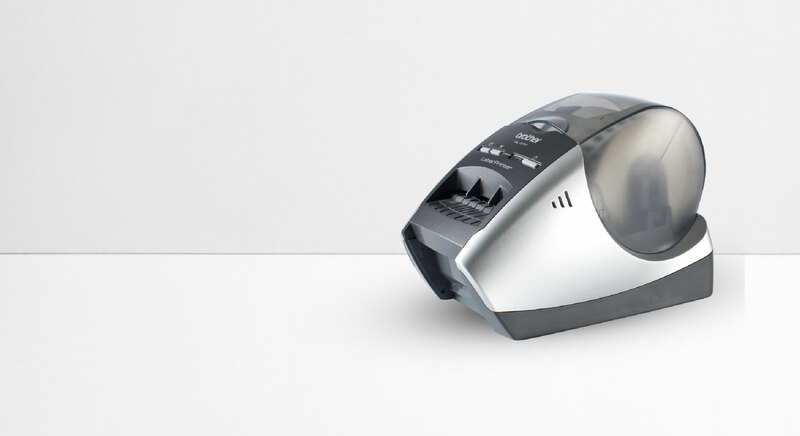 The QL-570 is capable of multiple label printing up to a total of 9,999 labels, and the automatic cutter handles every one of the labels with consistent results each time. 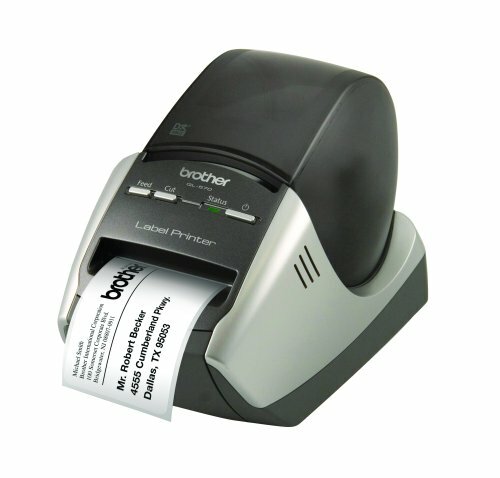 The Brother QL-570 Professional Label Printer is compatible with PC and Mac operating systems. It measures 5.2 x 5.6 x 8.2 inches (WxHxD) and weighs 2.5 pounds. It's backed by a two-year limited warranty and exchange service.